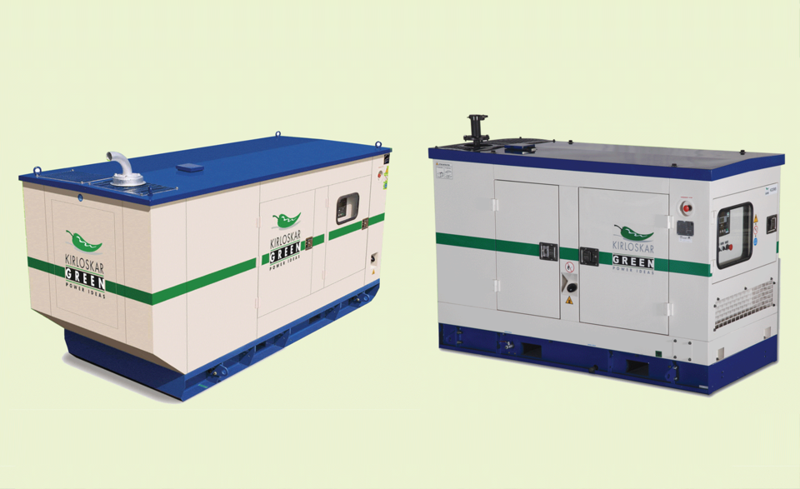 KOEL Chhota Chilli and KOEL Green are the Diesel Genset brands of Kirloskar Oil Engines Ltd (KOEL), the flagship company of the century‐old Kirloskar Group. KOEL is India’s largest selling and most trusted DG Set Manufacturer in India for over a decade. Providing back‐up power solutions from 2.1 to 5200 kVA for diverse market sectors, KOEL Green and KOEL Chhota Chilli have over 1 million Gensets in service across the globe. KOEL Silent Diesel Generator are designed and developed indigenously, using modern design & simulation technologies. KOEL`s R&D team combines decades of application knowledge, global technology trends and emerging user expectations to develop best‐in‐class products for the target markets. The products are launched after extensive validation in world‐class facilities. KOEL Silent Diesel Generator Fuel efficiency is optimized for the most common usage band of 50-75% loading. Best-in-class fuel economy helps reduce running costs (OPEX). KOEL Green team assists you – from Genset selection to synchronization, from exhaust piping to commissioning. Leverage decades of industry experience for your requirement. KOEL Gensets offer class-leading response to jerk loads/step-loads. This became especially important for starting large motors and operating special purpose machines. 7 days delivery assurance is backed by KOEL’s globally-awarded supply chain. This means availability of Diesel Generator just when you need it & without blocking your money for long. Remote monitoring system in KOEL Green Generators brings performance data, service reminders and alerts right on desktop. Live information & historical data at fingertips. KOEL’s trained and experienced product support team is just a call away. Log in requirement at KOEL Care Centre and we will track it till you are satisfied (1800 233 3344).